During the wedding of Marc Brickman to June Rudley, Bruce's lighting director and travel agent respectively. Springsteen and members of the band join Rickie Lee Jones and Boz Scaggs for a three hour celebration at West Hollywood's Whisky a Go Go on Sunset Blvd. They play for three hours, a mixture of classic covers and Springsteen originals. 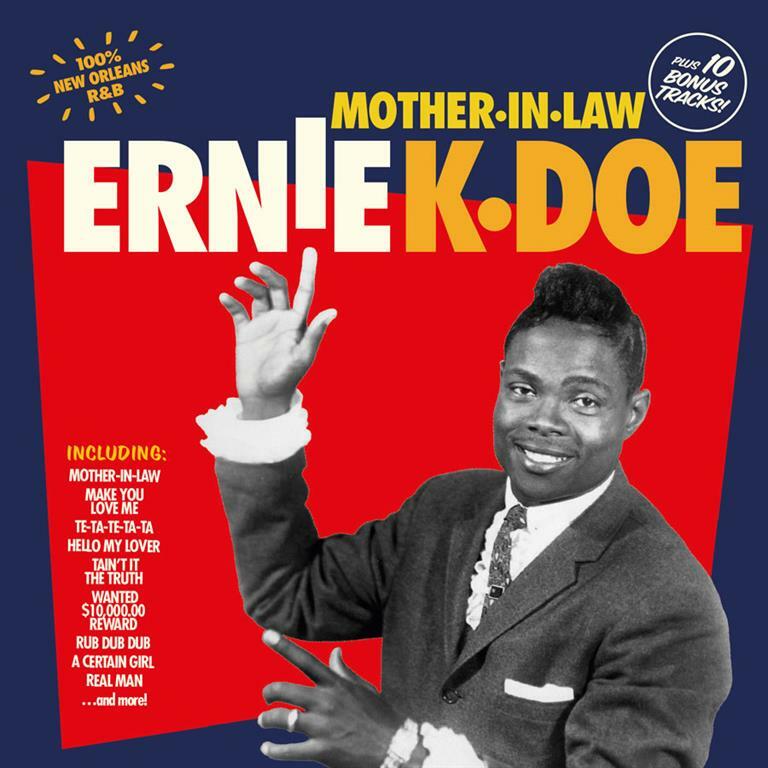 Covers include Ernie K-Doe's 1961 #1 hit "Mother-in-Law". A recording does exist, but only in private hands. During the fourth annual Light of Day show to benefit Parkinson's. Just an incredible night of music and fun at the Stone Pony. Other performers from the night include Willie Nile, Soozie Tyrell, Boccigalupe and the Badboys, Joe D'Urso and Stone Caravan, and JoBonanno and the Godsons of Soul. "96 Tears" includes a snippet of "Mother-In-Law" in the outro. Bruce and band take the stage to "In The Midnight Hour" for their last show of three at Metlife Stadium, and the final stadium show of 2012. 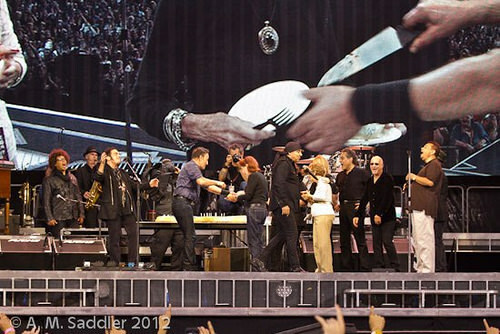 At midnight the crowd sang "Happy Birthday To You" to Bruce and prior to "Twist And Shout" Bruce cut a cake (delivered by Bruce's mom Adele, his oldest sister Ginny, Patti Scialfa's mother - introducing whom Bruce sings a line from Allen Toussaint's "Mother-In-Law" - and brother, plus Maureen Van Zandt) for his 63rd birthday, and shared it with fans in the pit, who once again sang "Happy Birthday". Patti Scialfa is not present. "Mother-in-Law" is a 1961 song recorded by Ernie K-Doe. The song was written and produced by Allen Toussaint, who also played the piano solo. After several unsuccessful takes, Toussaint balled up the composition and threw it away as he was leaving the room. One of the backup singers, Willie Harper, thought that it was such a good song that he convinced K-Doe to give it one more try.